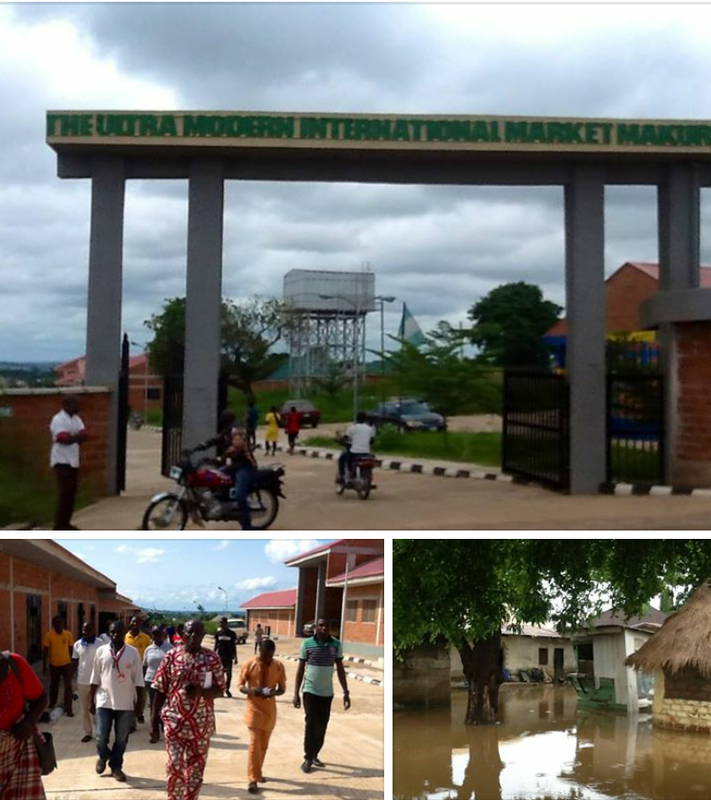 Benue State Governor, Samuel Ortom, has taken steps to alleviate the sufferings of victims of rising flood waters from the River Benue by setting up an Internally Displaced Persons (IDPs) camp at the Makurdi International Market. Executive Secretary of the State Emergency Management Agency (SEMA), Hon. Boniface Ortese, in a chat with this reporter yesterday in his office revealed that following detailed considerations, mostly about the safety and comfort of the victims, Gov. Ortom directed that the IDPs camp to be located at the international market. According to Ortese, the choice of the market for the camp is most ideal and a reflection of the governor's sympathy for victims of the flood and his concern for their well-being, as the location meets international standards for such camps, given the availability of ample accommodation space, excellent hygiene as well as guaranteed security at the premises. The Makurdi International Market is an ultra-modern facility built and completed by the administration of immediate past governor of the state, Gabriel Suswam, with accommodation space of 400 large shops and over 200 smaller ones, together with a health clinic and a police post at the premises, while all structures at the Market are fire-proof. Rising floods owing to excess waters released from Lagdo Dam in Cameroon into the River Benue have continued to submerge homes and displace residents along the banks of the river at Wadata and along Gboko Road in Makurdi, and many of the victims expressed deep appreciation for the intervention of the state government today as they were being registered and checked into camp for temporary accommodation. SEMA boss, Ortese, who was at the camp to superintend over activities there explained that each large shop will be allocated to serve as accommodation for four families, depending on the size of the families. He further revealed that the agency has been in consultations with the United Nations Children Fund (UNICEF), the United Nations High Commission for Refugees (UNHCR) and the National Emergency Management Agency (NEMA) all of which will be visiting the camp beginning from early next week to render various forms of support. Many of the victims at the camp expressed optimism that with such measures being put in place by the government, the pains of their being displaced will be mitigated, while a number of them called on the relevant authorities, both at the state and federal levels, to find a lasting solution to the problem of perennial flooding in the state, to forestall the huge costs incurred in human lives and property.